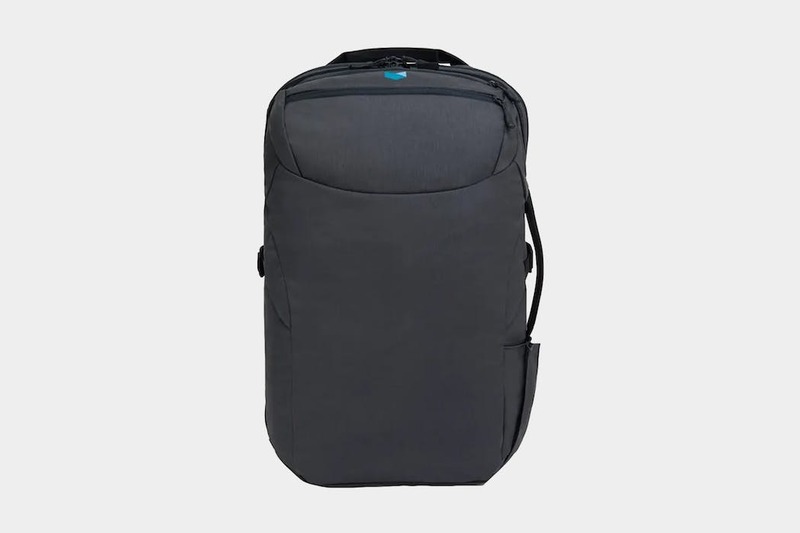 The Minaal Carry-on 2.0 is a roomy, minimalist-styled backpack that has some great features and only a few minor faults. A solid option for one-bag travel. During our constant search for the perfect one-bag travel setup, it was only a matter of time until we tested out some gear from Minaal—the company whose motto is “tools for efficient travel.” Seriously, you can’t get more on-brand than that. We consider ourselves experts in efficient travel, after all, so we had to take a look and see if their stuff really lives up to the motto. 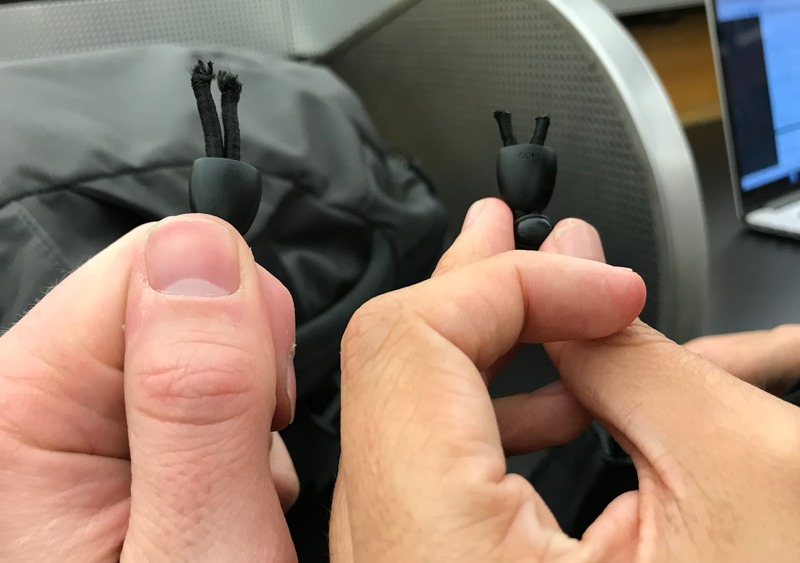 Two of our most experienced Pack Hacker team members have been testing out both the grey and black Minaal Carry-on 2.0. We’ve been testing the grey one for 8 months and the black one for 1.5 months—seeing as it came out… 1.5 months ago. We’re going to let you in on a little secret right off the bat—this pack has held up well and can hold its own among some of the best one-bag travel packs out there. At least in the first 8 months, it has definitely proven itself as a solid tool for efficient travel. But you’re here to find out more than that, so let’s get into it. We really like the overall look of this pack. We’ve been testing out both the grey and the “Aoraki Black,” which is named after the Aoraki Mackenzie International Dark Sky Reserve in New Zealand. The name might have something to do with the fact that the founders, Jimmy and Doug, are from New Zealand… Nah, probably just a coincidence. One quick note: While the bags are designed in New Zealand, they are made in Vietnam. Minaal did assure us that they are made by a Bluesign-certified partner, which is pretty cool. Bluesign is a certification system for sustainably produced textiles. It’s got a pretty clean look, as you can see. They’ve definitely got the minimalist look down. The branding is very subtle—just a few small, simple logos throughout the pack—and there’s not an overwhelming amount of straps or doo-dads on the outside of the pack. The straps it does have are actually fairly hard to see on the black version, which is nice—everything blends in pretty seamlessly. And even if this thing is fully packed, you’re not going to get that dreaded, mini-fridge-on-your-back look. It’s pretty slim and streamlined, overall. The Carry-on 2.0 has a capacity of about 35 liters. Why “about?” Why is it not a set-in-stone number? 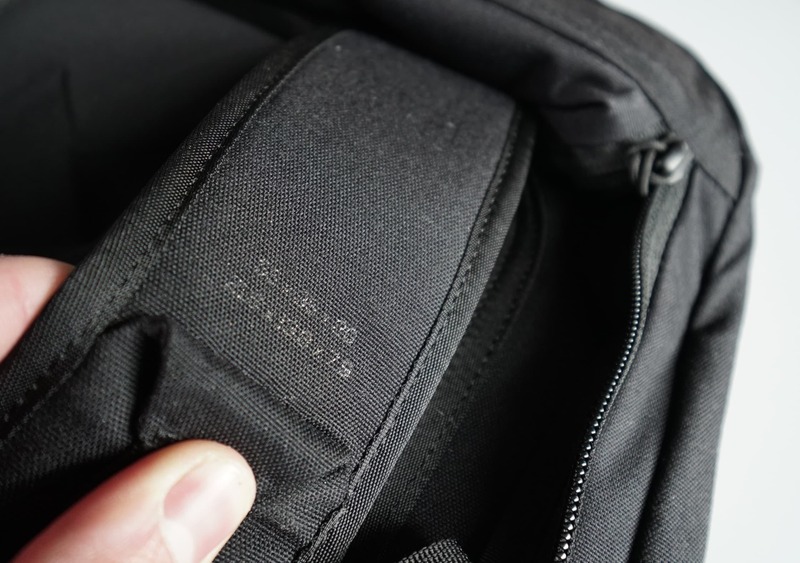 Well, the folks over at Minaal have some beef with this whole liter-capacity system—they don’t like to claim a certain capacity because there are really no set standards in the backpack world when it comes to these measurements. And honestly, they’re not wrong. It’s not terribly uncommon to find that a certain 30L backpack actually holds more than another 40L backpack made by a different brand. But we like numbers, so we’ll stick with the 35L measurement for congruency. 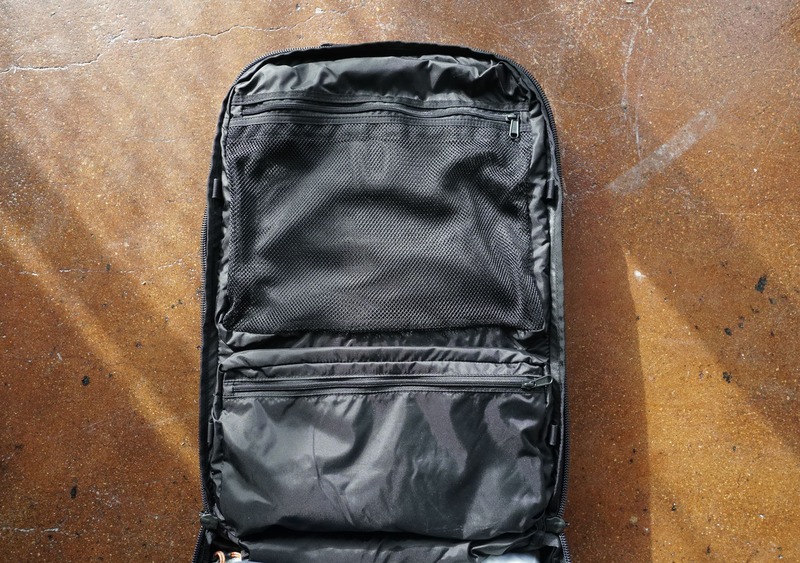 To put it in simpler terms—like virtually all one-bag travel packs, this thing holds a lot of stuff and can still be used as a carry-on bag for pretty much all major airlines. Speaking of which, on the left shoulder strap the actual measurements of the bag are listed! It’s pretty hard to see on the black version, but they’re there. Very cool idea from Minaal—when the TSA agent is all up in arms about your bag not fitting, you can simply point to the measurements. Just a heads-up for those who may not be too familiar with the TSA: grumpy TSA agents may not like this and Pack Hacker will not be held liable for anything that may or may not occur. 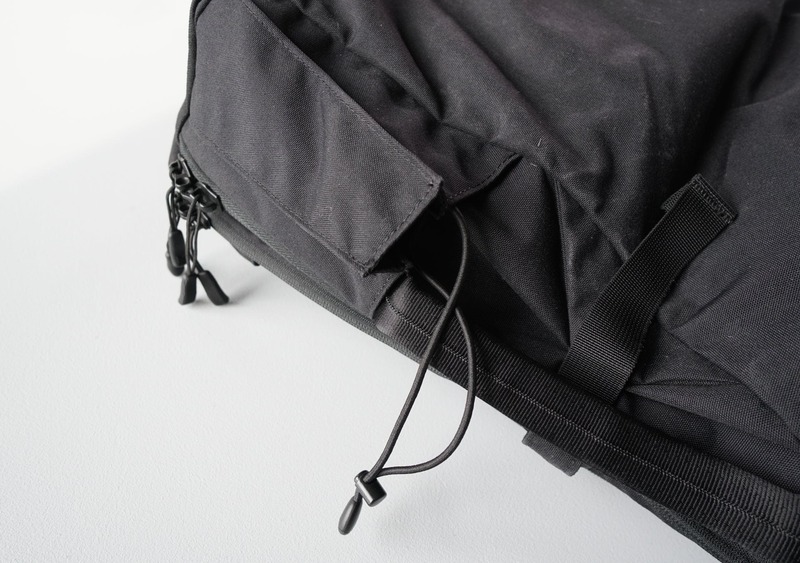 The fabric consists of primarily 600d and some 1000d nylon—there are two different deniers used throughout the bag. 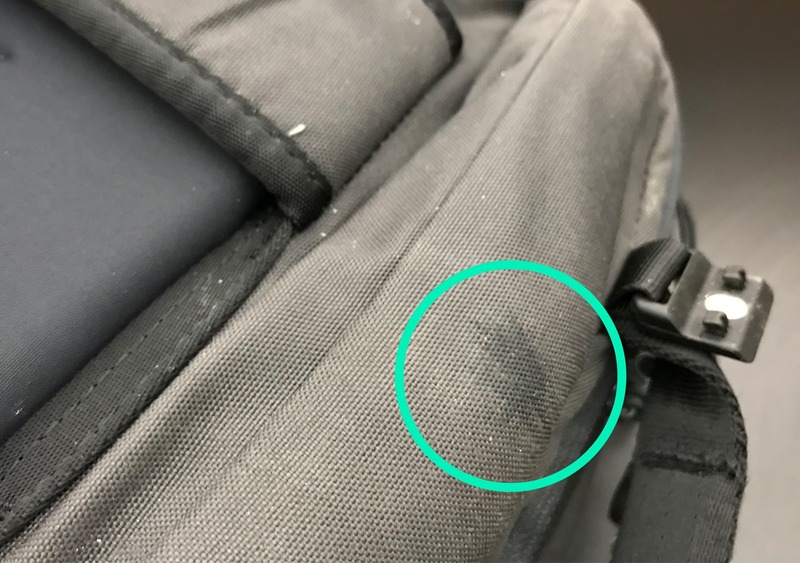 Their website doesn’t really clarify what type of nylon it is, so like any true backpack-enthusiast would, we reached out to them to get some more info. Turns out it’s actually their own custom nylon that they launched after having quality control issues with Cordura. What kind of issues? We don’t know. We think Cordura is great. We were pretty surprised to hear about this “custom” nylon. It’s also a little vague. How does one go about creating “custom” nylon? Can a relatively-small backpack company really go out and create their own custom fabrics? One final mention about the fabric is that it tends to attract a lot of dust and hair, which is easily visible on the black version. By the end of your 10-country trip you’ll have a nice accumulation of dust and hair from all ten countries—the most authentic souvenirs you can get! Maybe you can convert the water bottle holder into a lint-roll holder. Let’s move on to the various components on the outside of the pack. And what better place to start than the shoulder straps—the bread and butter, if you will, of backpacks. 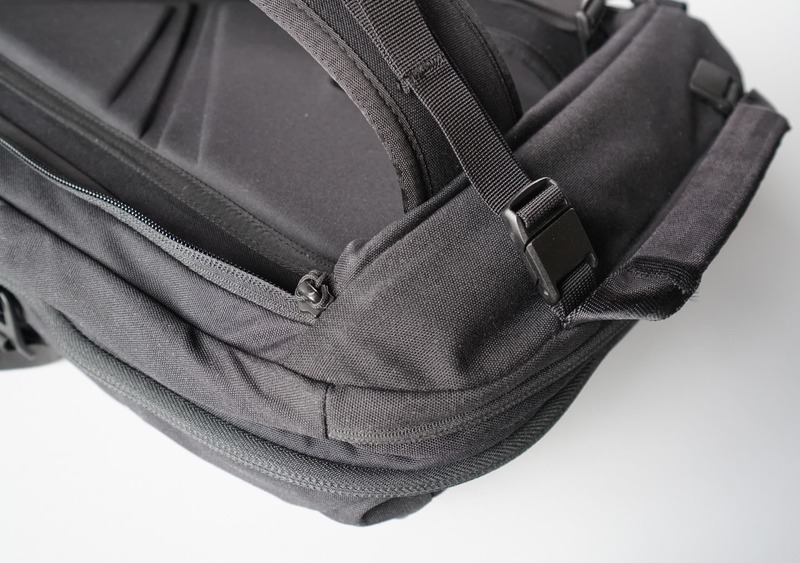 We really don’t have any complaints here, the Carry-on 2.0 has some great shoulder straps. They’re made with two layers of 5mm EVA foam, at two different densities for increased comfort. We’re not entirely sure why two different densities makes such a difference, but we’ve certainly been happy with these straps. Very comfortable but not bulky. 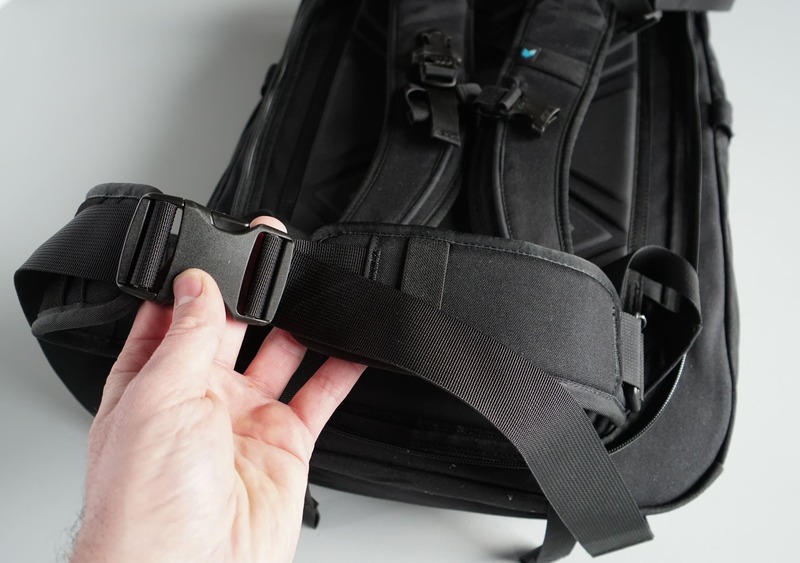 The sternum strap is on that sort of plastic-rail system that is common on a lot of packs, so you can use that to adjust the positioning of the strap—and you can, of course, adjust the “tightness” of the strap as well. There is also a sweet little clip on the right shoulder strap that you can clip the sternum strap to when not in use—no dangling! We love this little feature. However, we do have two very minor quips here… One, we’ve already seen some wrinkling on the interior fabric of the shoulder straps in both bags, and honestly, no one would ever notice. Really not a big deal, but something to mention. And two, the sternum strap is a bit bulkier than other straps we’ve seen. Again, not going to be the end-all-be-all, but we’ve seen better. We’re sticklers for this kinda stuff, after all. Moving up to the top of the shoulder straps, there are some load-lifter straps that will help distribute the weight of the pack and keep some strain off your back. We’ve mentioned these before, but if you’ve never used them they really are a game-changer—something we highly recommend if you’re lugging around a lot of weight. The interesting thing about these load-lifter straps is that they connect magnetically. We were definitely skeptical at first, but these things work really well. And they’ve held up pretty well—over the course of eight months of solid use, there’s really no wear outside of a bit of patina on the metal. 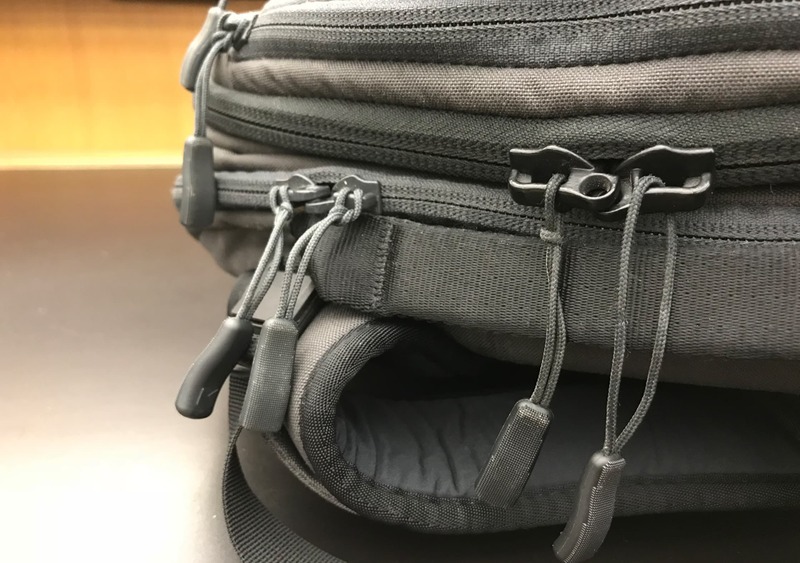 The straps are connected to the top of the shoulder strap and they have a small plastic piece at the end with a little magnet inside of it. There are similar plastic-magnetic pieces right on top of the bag itself. If you want to use the load-lifter straps, just take the strap and slap it on the other magnetic piece. Seems flimsy, right? Well, we’re happy to announce that these things not only hold weight very well, but also seem to hold up over time. 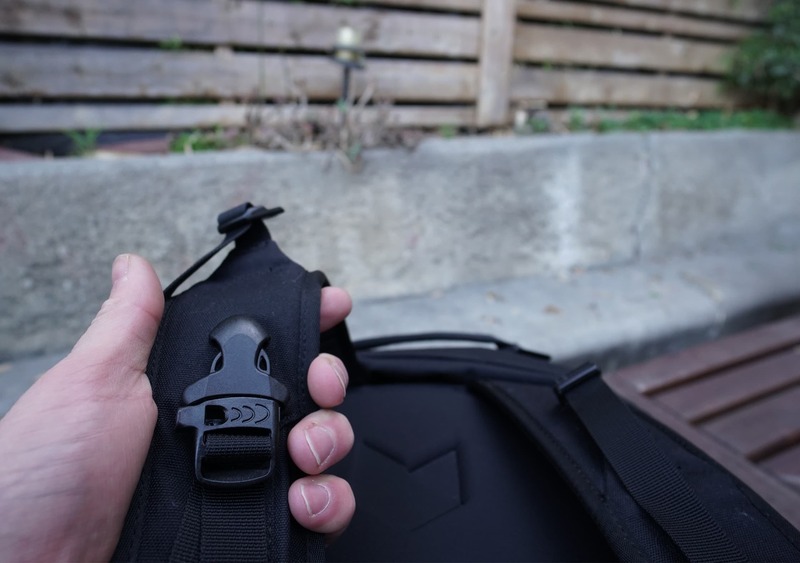 Very cool idea from Minaal—these little straps definitely exceeded our expectations. 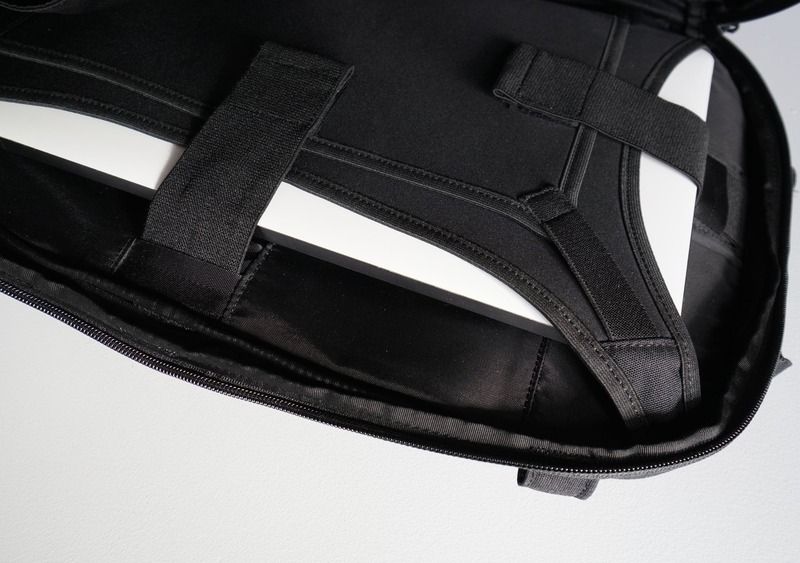 There is a detachable hip belt on this pack as well—pretty standard stuff, it’s got some padding. Nothing to write home about. If you detach the hip belt, there’s no designated “hip belt storage pocket” or anything like that—it doesn’t fold away neatly into some little crevice. You’ll most likely want to throw it in the pack itself if you’re traveling, or just leave it at home. There is some great padding on the back panel, which is very comfortable. If it wasn’t clear before—this bag carries very nicely. 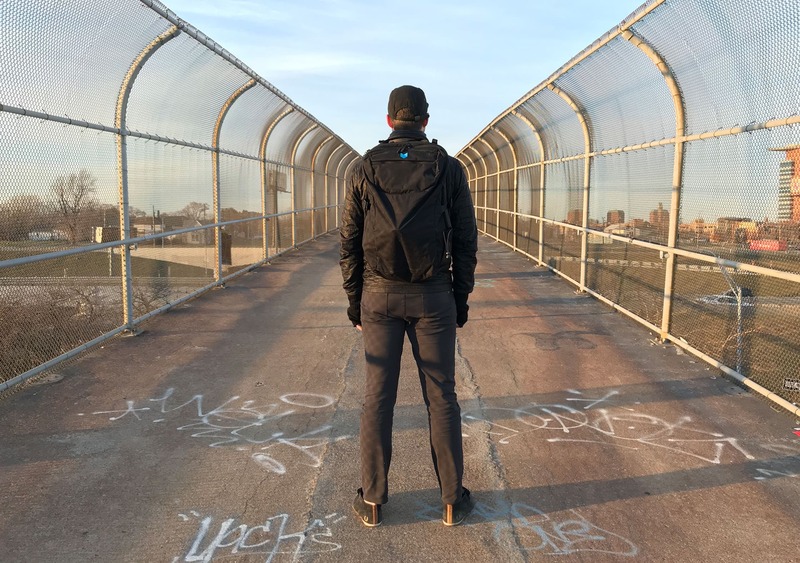 Between the shoulder straps, load-lifters, hip-belt, and back-pad, we’ve been pleasantly surprised with how comfortable this pack is over long distances. One nice feature of this pack is that you can cover all of the straps and turn it into a suitcase-like package. 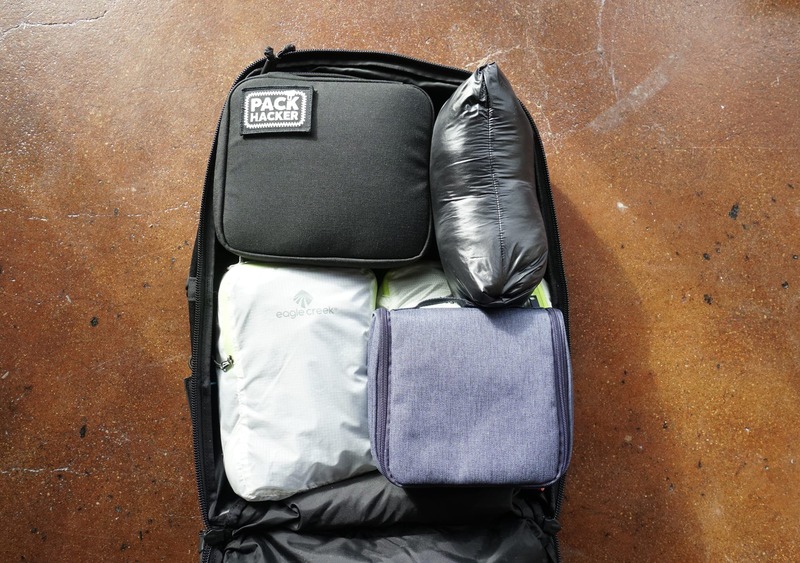 This is something we’ve seen on a few other packs, and it’s great to have for traveling as you don’t need to worry about straps getting caught in overhead compartments or what have you. The way Minaal has gone about this, however, is… interesting. Basically, there’s a fabric cover that covers the length of the bag. You may have already noticed that there are also zippers running along the edges of the shoulder-strap-side of the bag. When you need the straps and you’re using the bag like normal, the cover is rolled up and stuffed into the very top of the bag, above the shoulder straps. When you want to cover things up, you simply unroll it and then zip everything up. You now have a large black or grey box. Cool! So, yes, this works. It covers everything completely and it looks really nice when all done up. But… we’ve noticed a few drawbacks. It takes a while to roll up, and you really need to make sure you roll it tightly. When rolled up, you can feel the fabric on the back of your neck/shoulders, especially when you’ve got the load-lifter straps tightened up. We kind of got used to this, but it’s a little odd at first. The zippered outline of the bag when in use is less than ideal. It doesn’t look great, but more importantly, having zippers constantly exposed is just asking for problems. 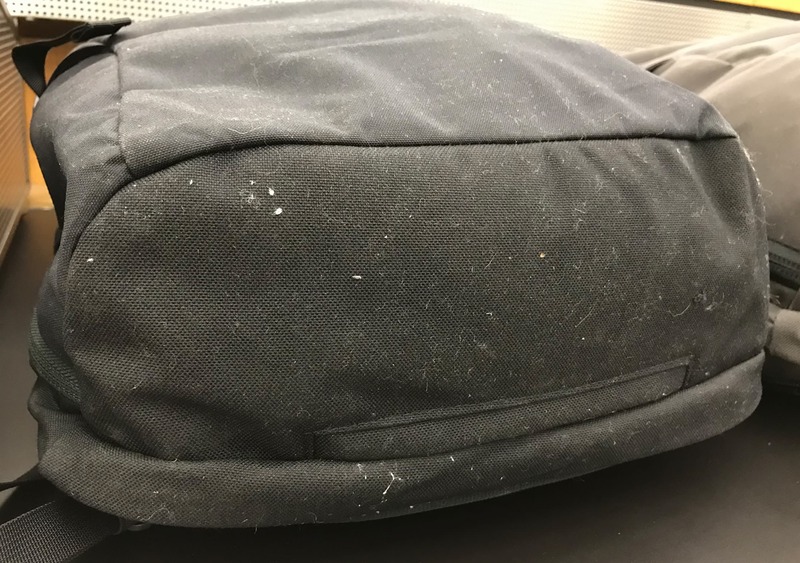 Dirt and debris can get in there, which will quickly deteriorate that zipper track, and if any part of it breaks, the cover would be more or less unusable. So, again, this does work—it’s just not the most convenient system. We’re curious to see how that zipper holds up after more use. Out of the backpacks we’ve tested, we have really liked how the Aer Travel Pack and the Tortuga Homebase handled this problem, for example. Much simpler, faster, and more convenient. Moving on, there’s some nice padded handles on both the side and top of the bag. The side handle is actually angled so that it can distribute the weight properly if you were to hold it like a briefcase. An interesting touch that most people wouldn’t think about, but it makes a big difference if you’re lugging this thing through an airport or something. One part of this pack that we were really impressed with is the compression strap system. A lot of manufacturers seem to go overboard with compression straps—there’s too many, they don’t look good, they’re made of over-the-top materials. There’s really no need for that. 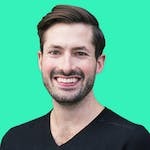 Simple is better—it’s not like you’re trying to pin down a wild animal or something. These are travel backpacks, people—let’s not get too carried away. These compression straps have a super simple metal buckle system. When not in use, you simply attach the buckle to the same side of the pack. When you want to use them, just take them off and attach them to the other side—right up against that clamshell zipper. And the buckles are all metal, so you’re not gonna have to worry about durability. No frills, they work well and keep with the minimalist style Minaal is going for. Now, onto the water bottle holder, which is on the right side of the pack. It’s not an ideal water bottle holder, to be blunt. Kind of just a piece of fabric that doesn’t have much give or stretchiness like you’d traditionally find with a water bottle holder. There is a bungee that runs around the top so you can tighten it up to accommodate varying sized bottles, but… (here we go with the buts again) it is way too large and just not very durable. There is a plastic cap at the end of the cord that has fallen off on both of our bags after minimal use. We just went to grab it one day and it popped right off. And then when you tighten it up you’re left with almost half a foot of spare bungee hanging off the pack. You can tell that a lot of stuff on this bag has been really well thought-out. This water bottle holder, on the other hand, seemed like an afterthought. Will it hold a water bottle? Yes. Is that all that really matters? Well… yes, pretty much. But it could be better. UPDATE: Minaal followed up with us about the broken water bottle bungee issue: “The water bottle issue would be (is!) 100% covered by support and/or warranty. Anyone can fire feedback@minaal.com an email about it and get sorted”. Pack Hacker has not anonymously tested this to see if it works. 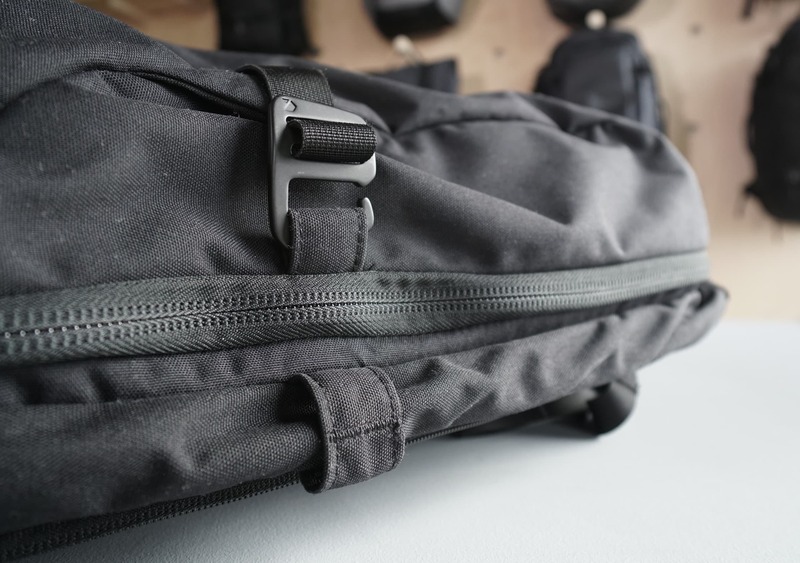 Finally, rounding off the external components is the PackHacker personal favorite on this bag—the stealthy raincover pocket. Right at the bottom of the pack there’s a tiny little opening where you can stuff the raincover in. Did we mention that it comes with a raincover? Because it does. We thought the guys at Minaal did a really nice job with this—it’s virtually unnoticeable, it’s simple, it holds a raincover well. Everything you want out of a raincover pocket, right? Alright, that was a lot to cover—hah. Raincover jokes. Let’s open this thing up! Moving into the pack, we’ll start by opening up the back clamshell pocket. This is where all your essential goodies are going to go—passport, documents, electronics, all that stuff. Right at the top of this compartment you’ve got your standard little zip pocket for pens, pencils, keys—it’s about the height of a credit card but covers the whole width of the bag. Going by our tried and true Pop-Tart scale, you cannot fit a Pop-Tart in here—too tall. But you can actually fit a good amount of other stuff in here. There’s a nice document holder area below that—just a standard sort of pouch that you can throw in larger documents (or like 4 Pop-Tarts), plus a small spot for a passport. 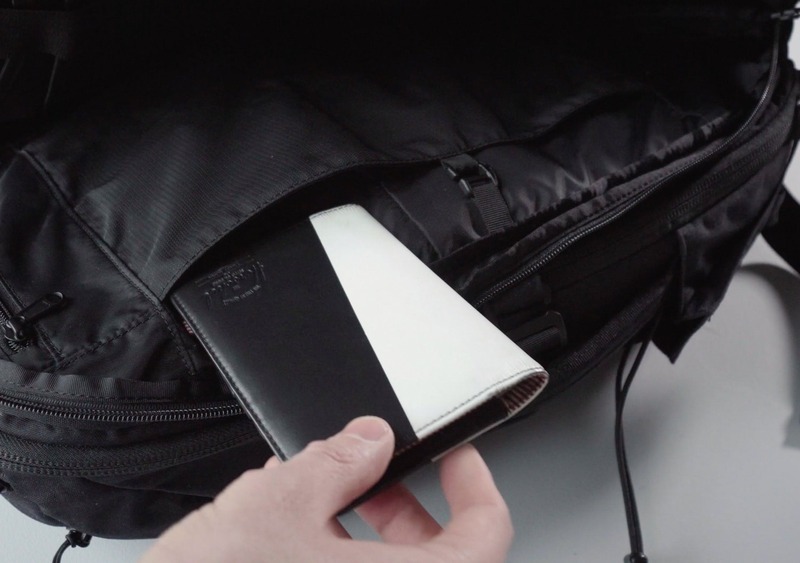 The passport pocket is big enough to accommodate a passport case, which is a nice touch. On the flipside is the suspension-laptop-holding-system. The what?! Bear with us here, this thing is actually pretty sweet. It’s a sort of compression sleeve system that secures laptops and tablets really nicely. There’s a large sleeve on the bottom for laptops and a smaller sleeve for tablets, so they can rest on top of each other. You slide your devices in and then strap everything down appropriately with the velcro straps. Why go through all this fuss in lieu of a simple laptop sleeve? 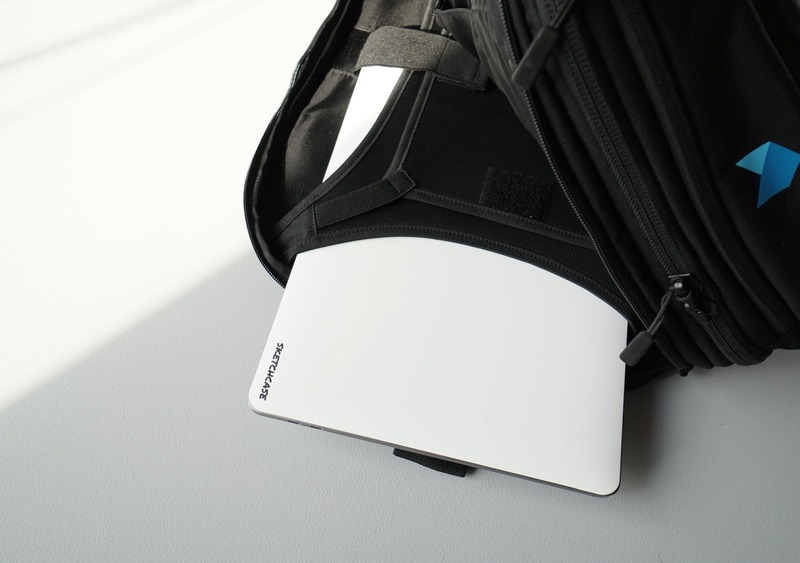 Well, it lets you easily store a laptop (up to 15”) and tablet together while still taking up minimal space. But the real key is how it protects your electronics. This Laptop Isn’t Goin’ Anywhere! Because the devices are secured in the middle of the bag, if you were to drop your pack they will stay perfectly in place. You’re not going to have to worry about the edges of your devices hitting the ground. AND—one final benefit—your laptop and tablet (often the heaviest pieces of gear you will have) will always be centrally located, right up against your back. That means your backpack will carry better and you’ve got less strain on your back and shoulders. Who knew you could bring so much tech into a laptop sleeve? In this case, it really pays off. 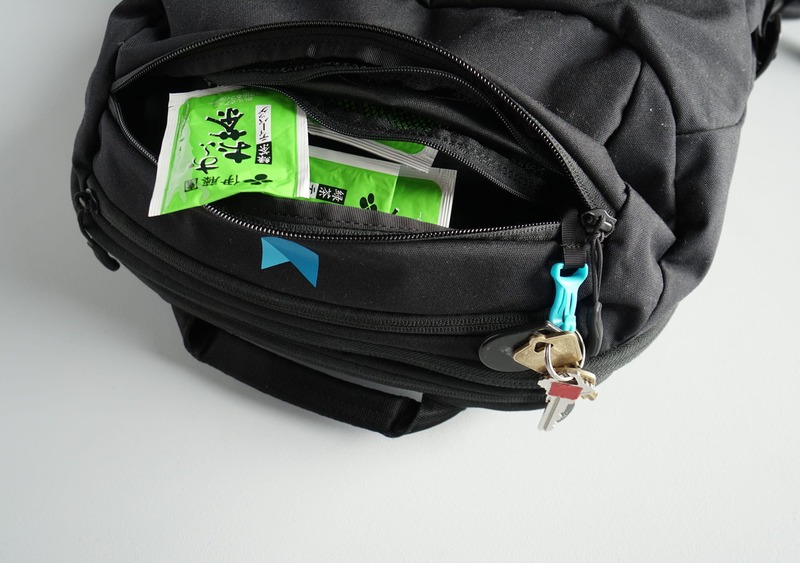 On the outside of the pack there are two quick-grab pockets near the top. The top pocket is pretty large and the one below is slightly smaller. These are both great for throwing in those miscellaneous items before security or holding a few essential items that you simply must have at arms reach. In that small pocket there is also an even smaller mesh zipper pocket with a plastic key-clip. We really don’t have much to say about this other than it can… hold keys. And other small things. Thrilling stuff. Solid pocket. We Love Beefy YKK Zippers! Alright, let’s get into that main clamshell pocket. The zippers on this section are #10 RC (Racquet Coil) YKK zippers. Yeah, #10. For anyone not familiar with YKK zippers—the bigger the number, the bigger and beefier the zipper. Quick side note: All the zippers on this bag are YKK. We love YKK zippers as they are basically the international standard for durability and high-quality when it comes to zippers. These particular ones also have loops so you can throw on a padlock for some added security. The loops aren’t massive, so you’ll have to use a pretty small padlock—still better than nothing. If you open this clamshell up all the way you can see that there’s plenty of room to work with—and not much organization. This spot is just begging for a few packing cubes. We’ve been using between four and five packing cubes, which fills up this whole section nicely. You could put rolled-up or folded clothes in here but things are gonna get messy pretty quickly. One of the key features of this clamshell section is that you can load everything into the “scooped” side of the bag—meaning you can easily fill it up to the brim and keep everything more or less contained. Then you just flip over the other side of the bag and zip everything up. On the other side of this section are two pockets—a ⅔ mesh pocket and ⅓ regular pocket. These are “3D” pockets, meaning there’s some extra fabric that lets them expand outwards so you can throw in bulkier items if necessary. This could be used for a few miscellaneous t-shirts or even as a dirty laundry ‘hamper’ while traveling. 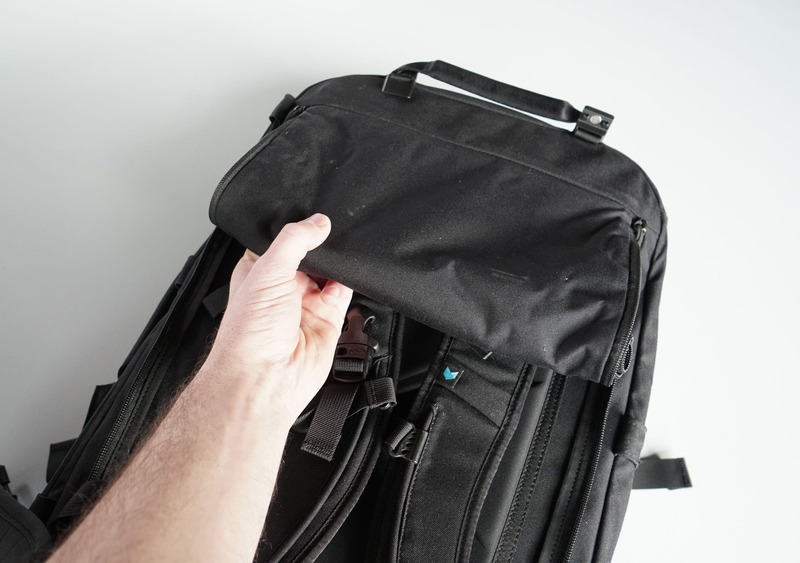 There are four different attachment points on this side of the bag where you can clip some Minaal accessories, like their shirt protector. We haven’t used this, so we can’t really comment—our packing cubes handle our clothing needs pretty well. But if your shirts do need protecting, this could be a great feature and appears to work pretty seamlessly from the video on Minaal’s website. Overall, the Minaal Carry-on 2.0 has held up well. 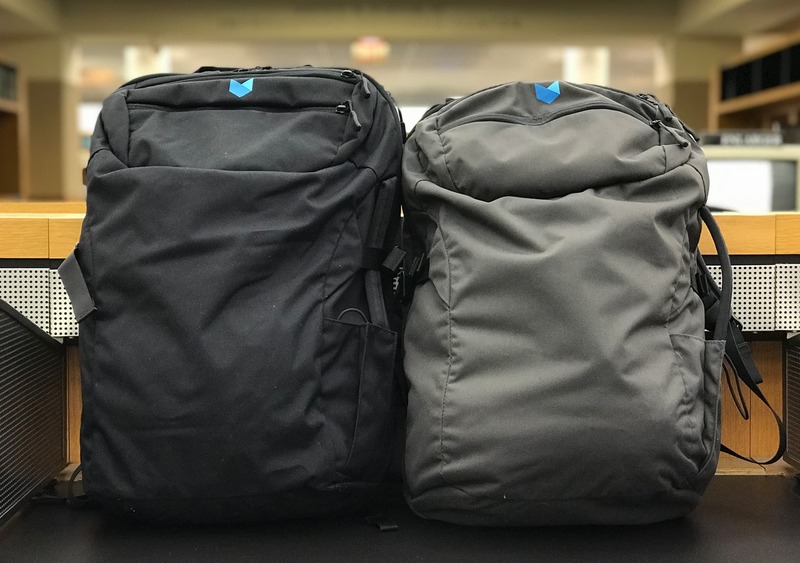 As we mentioned before, we’ve tested out two of these bags—the Aoraki Black Version for about 1.5 months, and the original grey version for over 8 months. On the 8 month test, there was some general wear and tear—patina on the magnets, a bit of fraying and wrinkling on some of the straps. But we were living out of this thing and using it daily for 8 months! For what it’s been through it has really held up very well. The major complaints would be that water bottle holder and the strap-cover-system. But in the scheme of things, these don’t have a major effect on the overall usage of the bag. We have to give the Minaal Carry-on 2.0 a pretty glowing recommendation. For the digital nomad or frequent traveler it offers a ton of room, a handful of slick features, and it looks damn good. Plus, it’s a comfortable pack to wear for long periods of time and it’s got enough durability to keep going for years—or at least, we can assume it will hold up for years based on what we’ve seen so far. If you’re looking at doing some fairly ordinary one-bag travel—a laptop, some clothes, and a few accessories—this pack has to be one of the best options out there. 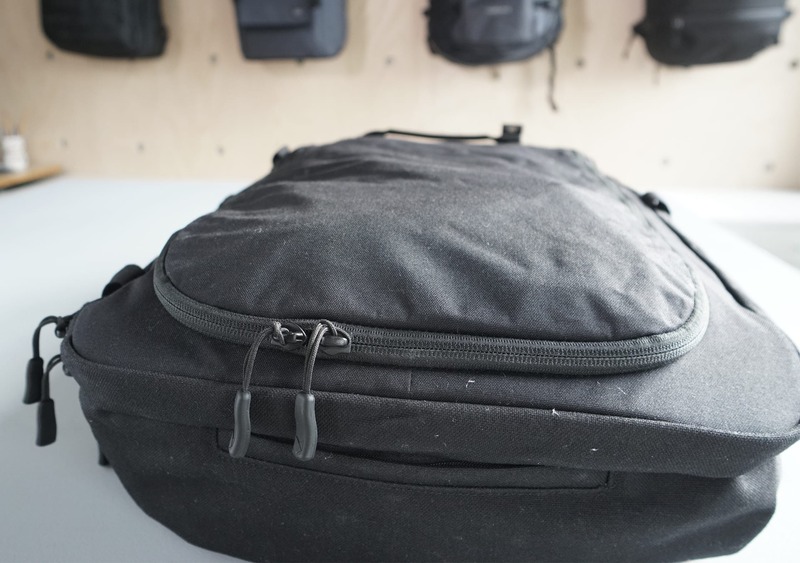 If you’re a photographer or you need to carry around a lot of gear, you may want to look at something with a bit more organization (the Peak Design Everyday Backpack, for example, is great for photographers on the go). Ultimately, the durability, configuration, look, and ease-of-use more than make up for the few low-points of this bag. Looks great, feels great, works great. No complaints other than some dust/hair on the black version. Cap on the water bottle bungee has fallen off. Basic wear and tear, but still truckin’ along. The Carry-on 2.0 from Minaal is a stellar bag for one-bag travelers. It offers a tremendous amount of room, a good number of user-friendly pockets, plus a handful of other nice features. In grey or black, this pack looks great and carries well to boot. The overall durability is solid—this is a pack that should, in theory, hold up to years of usage. Minor issues include the water bottle holder, hideaway strap system, and rapid accumulation of dust on the fabric. But to be fair, the pros largely outweigh the cons. For one bag travelers, the Minaal Carry-on 2.0 is hard to beat.